When it comes to SUV prowess, there’s nothing that quite matches the new Jeep lineup, available now near Hastings at Midway Auto Dealerships. From the Jeep Renegade to the world-famous Jeep Wrangler, you’ll find a variety of 4×4 systems with class-exclusive features, impressive interior features, and best-in-class off-road capabilities. Apply to finance a new Jeep today at our dealership near Grand Island, and stop by for a test drive anytime! 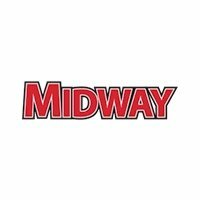 When it comes to quality vehicles and services near Hastings, it’s tough to beat the team at Midway Auto Dealerships. We have a variety of financing and lease options available for our clients, as well as a full team of factory-trained technicians with access to state-of-the-art diagnostics and repair equipment. Check out your new vehicle specials online, and see the value of your trade-in vehicle. Our doors are open for sales Monday through Saturday, and you can call us directly at (888) 270-1246.